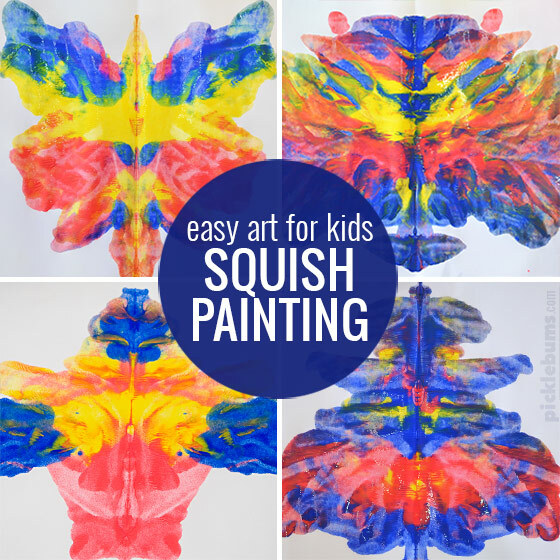 Easy Art for Kids – Squish Painting. There are some activities that just never get old. No matter how big my kids get, or how many times we’ve do this simple art activity, it is always enjoyable! Even I love having a go at this one! 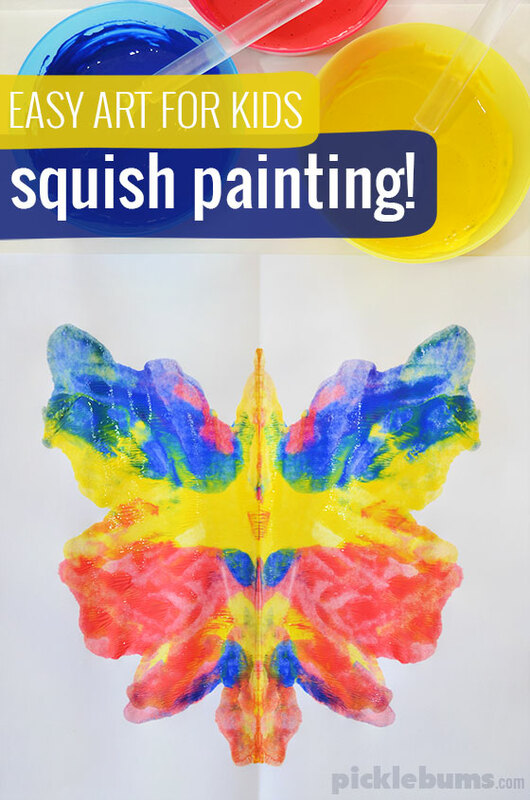 We call it squish painting because that’s what you do, you squish paint around on a folded piece of paper, then open it up to reveal your masterpiece! 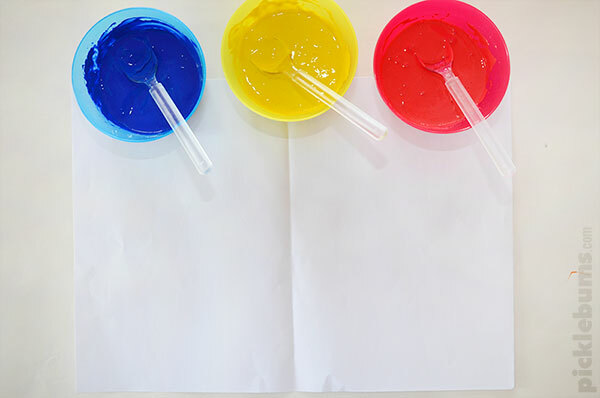 Paint – pick two or three colours that combine well and make sure the paint is quite runny, add some water if needed. 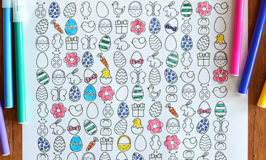 Something to cover your work surface, a smock or apron and a damp clothe for painty fingers, this can get messy! Somewhere to dry all the creations – these will need to be dried flat. Start by folding your piece of paper in half then opening it up again. This helps identify the centre of the paper and makes it easier to fold and squish later on. 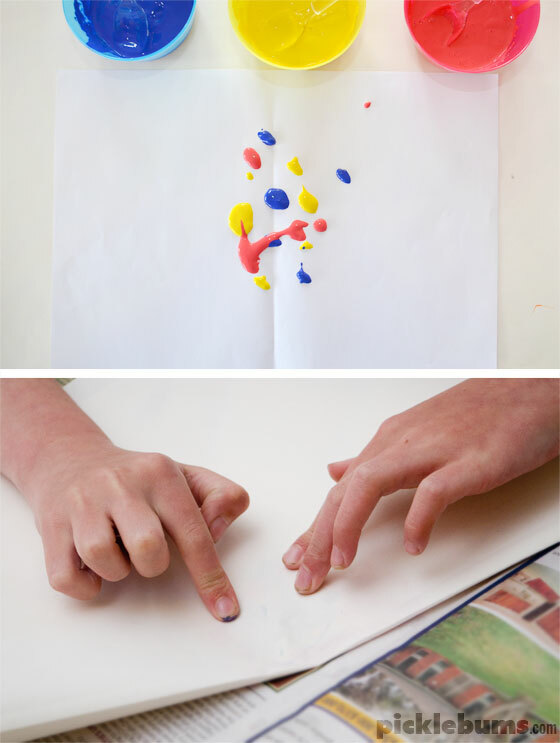 Drop small blobs of paint somewhere around the middle of your paper. If you put paint to close to the edges or if you put on too much paint it’ll turn into a sludgy mess later, so try and stick roughly to the middle and don’t go overboard on the paint. When you have as much paint as you want, carefully fold your paper in half again and begin squishing! 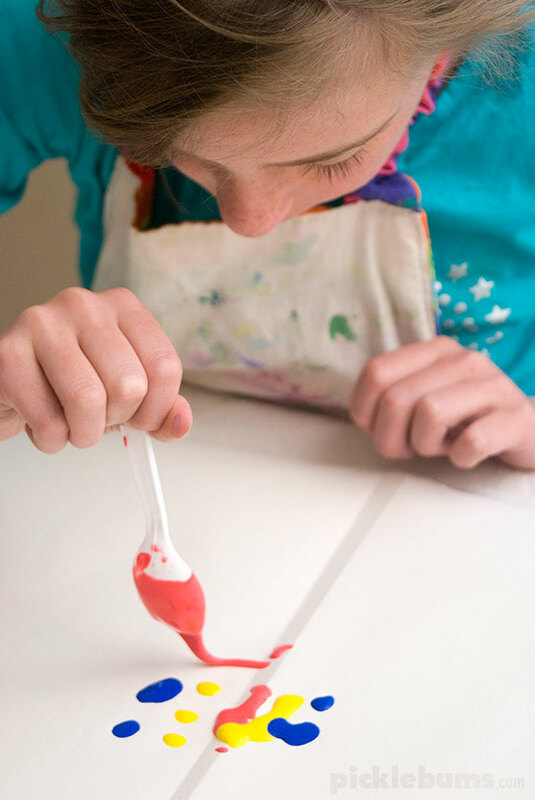 Press and push the paint around between the folded halves of paper, spreading out the paint as much as you can. When you are done squishing carefully open up the paper and check out your squish paint creation! 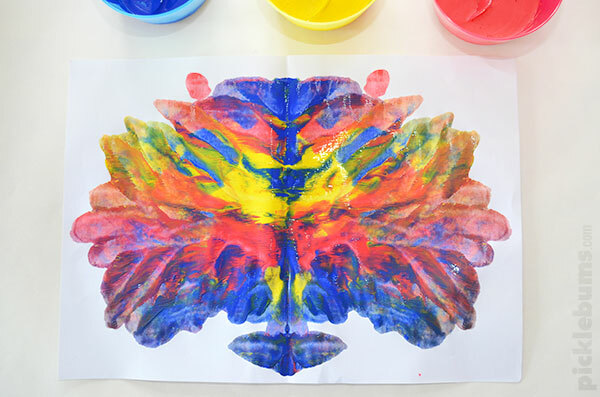 We decided that some of our paintings looked like butterflies, but most of them looked like monsters, and one of them looked like an elephant! I love simple art techniques like this that gives you quick, easy and magical outcomes! I first shared this post way back in 2011 (hence some of the comments having ancient dates on them) In the years since, my kids and I have done this activity so many times and when did it again recently I though it might be a good chance to take some new photos and update this post. some of them quite anatomical.. but I probably need to talk to my therapist about that. They’re in the kids section with all the toys. You can also get the stand to put it on which also works as a paper cutter. Best buy ever! Ooh excellent it is on my list!! Really good! As u said that, this idea never ever get old. Very true. 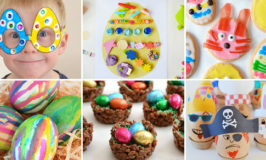 Home » Easy Art for Kids – Squish Painting.